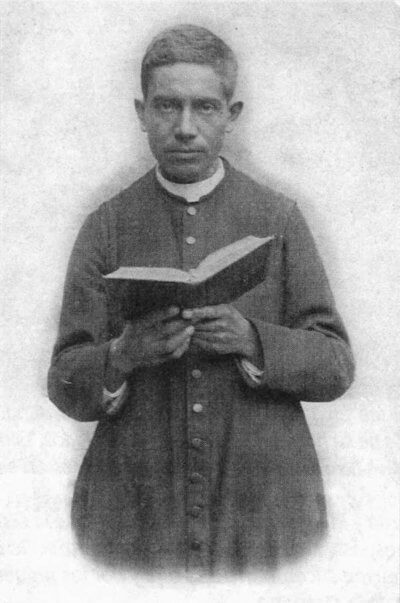 Saint Christopher Magallanes and Companions, Martyrs - My Catholic Life! The governor of Mexico’s Tabasco state in the 1920s, Garrido Canabal, was so insanely anti-Catholic that he named his three sons Lenin, Satan, and Lucifer. He was also a farmer and named one of his bulls “God,” a hog “Pope,” a cow “Mary,” and a donkey “Christ.” He ordered the removal and destruction of all crucifixes from public buildings and graveyards in Tabasco. Painful photographs of the destruction prove that it happened. For his vicious persecution of the Church, he was elevated to a national cabinet position in the 1930s. Canabal was a political protégé of the Mexican president, and later strongman, Plutarco Calles. Calles was an illegitimate child, born to unmarried parents. Calles hated being called an illegitimate child and especially resented the Roman Catholic Church for this title of illegitimacy. In time, Calles became a devout believer in the religion of atheism, eagerly shared his beliefs with others, and put great energy into evangelizing others to his side. As governor of the state of Sonora, he expelled all Catholic priests. As president of Mexico, he carried out an overtly violent, ferocious, scorched-earth attack on Catholicism without par in the twentieth century. Priests were killed for no other reason than for being priests. This led to a popular counterreaction known as the Cristero War, a slow burn of assassinations, pitched battles, skirmishes, and reprisals. Central Mexico was in a full-blown meltdown in the 1920s. For a visitor to Mexico today, or to anyone familiar with its culture, such events are difficult to imagine or comprehend. Mexico harbors one of the most vibrant Catholic cultures in the entire world, thick with devotions, processions, Masses, feast day celebrations, and religious song and dress. Yet the Cristero War did happen, and not a thousand years ago. The militant, anti-religious mentality of Anglo-Saxon secular humanism is familiar to many believers today. It is the air we breath. This educated secularism opposes the very idea of God, exalts a narrow understanding of freedom, denigrates the concept of belief, and transposes science as an object of faith rather than a formal creed. The militant anti-religious mentality of 1920s Mexico, and of other culturally Catholic nations, was and is different from Anglo-Saxon secularism. Anti-Catholicism in Catholic nations expresses itself in anticlericalism. Hatred is unleashed against bishops and priests and their instruments of ministry—altars, crucifixes, vestments, rosaries, statues, etc.—not so much against creeds or ideas. You don’t need to read Nietzsche or to master the Enlightenment canon to hate the Church. Whereas Anglo Saxon secularism wages its battles in the higher echelons of university classrooms and the courts, Latino anticlericalism is not too complex. Just kidnap a priest, blindfold him, tie his hands tightly behind his back, and shoot him in the head. Anti-clericalism liquidates its enemies against the dirty brick wall behind the local police station. No courtrooms are needed. Twenty-five martyrs are commemorated today. All were diocesan priests, except for three laymen who died with their parish priest. They were all Cristeros. They died in eight different Mexican states under circumstances similar to those of Frs. Magallanes and Caloca. Pope Saint John Paul II beatified the group in 1992 and canonized them in 2000. In addition to Frs. Magallanes (Cristóbal Magallanes Jara) and Caloca (Agustín Caloca Cortés), these martyrs were: Román Adame Rosales, Rodrigo Aguilar Alemán, Julio Álvarez Mendoza, Luis Batis Sáinz, Mateo Correa Magallanes, Atilano Cruz Alvarado, Miguel De La Mora, Pedro Esqueda Ramírez, Margarito Flores Garcia, José Isabel Flores Varela, David Galván Bermúdez, Salvador Lara Puente (layman), Pedro de Jesús Maldonado Lucero, Jesús Méndez Montoya, Manuel Morales (layman), Justino Orona Madrigal, Sabás Reyes Salazar, José María Robles Hurtado, David Roldán Lara (layman),Toribio Romo González, Jenaro Sánchez Delgadillo, David Uribe Velasco, and Tranquilino Ubiarco Robles. 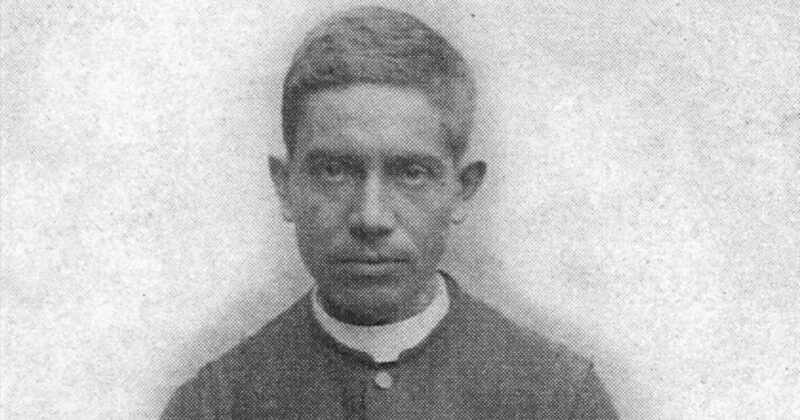 Father Magallanes, your quiet witness and noble death are an inspiration to all who suffer physical violence for the faith in unknown ways and in unknown places. May your intercession and courage be an inspiration for all priests, laymen, and religious who are tempted to bend in the winds of persecution.